This got me thinking: who will be my musical advocate? I’ve seen what it’s like at my mother’s assisted living facility, which is one of the best in the world. The staff plays music in the common rooms to help stimulate memory and group interaction. They try to pick tunes that are familiar to the largest number of people depending on age group, usually aiming for what was popular during the residents’ young adulthood. My mother’s era would therefore be defined by a lot of Broadway, big bands and Mitch Miller-approved sing-alongs. The last time I visited her, though, Elvis Presley was in the air, as the Greatest Generation moves on and the Baby Boomers move in. I had to wonder if this made her antsy – she never struck me as an Elvis fan – or if she was grateful for the break from Lawrence Welk. There’s no easy way to accommodate everyone’s personal taste, even when you’re in a room full of mentally acute adults. (As my good friend Gail says, ” I would like to have some control over what I have to hear in the GYM, let alone when I’m lying in a bed in a nursing home someday.”) It’s hard to pin down taste for one person, much less a group. Say you like Elvis: does that mean the Sun Records era, gospel, Hollywood hits, the comeback album or the late career Las Vegas material – or a little bit of everything? You may cringe every time you hear “Can’t Help Falling In Love” because that was your song with your first girlfriend, and she broke your heart. Or, you liked “Heartbreak Hotel” but were more obsessed with calypso, if truth be told. Until some genius software company develops a template for a Musical Power of Attorney, I will have to do what I’ve done all along: trust my children. I’ve raised them to know good music when they hear it, and I’m sure they’ll keep my musical wits sharp and evolving throughout my next half-century. 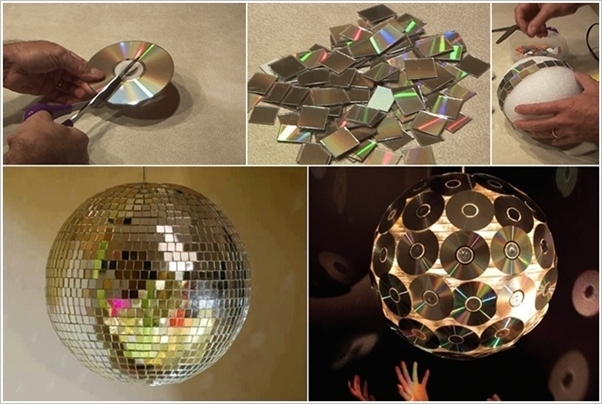 If and when I’m no longer able to spin my own iPod dial or change the satellite radio station, I know I will be in good hands … even if they turn my well-crafted CD collection into disco balls. P.S. I started this blog soon after I turned 45. Five years and 100 posts later, I am still at it, in no small part because of regular readers like you. As I blow out the 50 candles on my cake, one of my wishes is you continue to enjoy what you read and keep commenting. Thanks for coming along for the ride! Great points here, it never occurred to me to worry I might be stuck listening to pop tunes from the 1980s in my golden years. I hope I’ve trained my kids as well as you have yours! Happy 50th, love your blog! LOVE it! “By then, the Cloud will probably be sentient and download Blue Ivy Carter and North West’s latest hit directly to our eardrums.” Seriously? That’s Pulitzer worthy. Thanks … and when this comes true, I’ll buy you a beer … if the Cloud still allows that sort of thing. I love it! and happy birthday! Thank you – and happy wedding! Thanks for reading it – I’m glad you liked it! Anything but “Ballad of the Green Berets” or “Dominique” by The Singing Nun! I just love your “Musical Power. Of Attorney”. I have sooooo many songs that I’d be happy to never hear again, much less in my last moments. Thanks for reading – glad you liked the post!